Transit groups rallied to fix the NYC subways outside Cuomo's office Wednesday. Checkey Beckford reports. 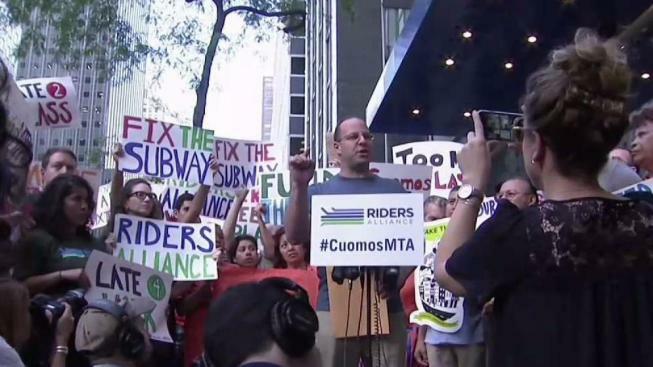 Angry subway riders rallied Wednesday evening outside Gov. Cuomo’s office to demand a credible plan to fix the city’s crumbling subway system. The Rider’s Alliance members, NY Communities for Change members, NYPIRG Straphangers Campaign members and other transit advocates were outside Cuomo’s New York City office chanting and demanding a “fund and fix” to the city's subway system. The rally comes in the wake of a stuck F train underground, months of switch problems and Tuesday’s derailment in Harlem. 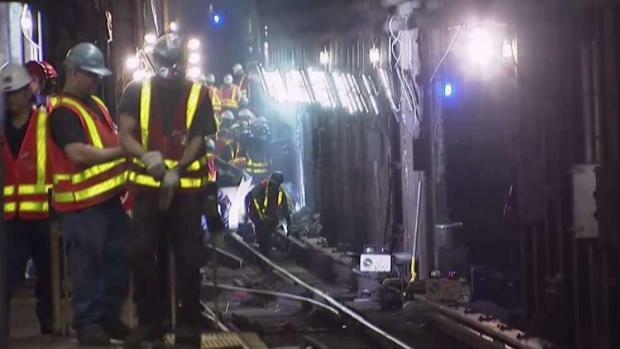 MTA officials say "human error" and not a track defect caused the subway derailment in Harlem. Rana Novini reports. The MTA blamed the derailment on human error, not a track defect. On Wednesday, the I-Team discovered several stations, including West 4th, where metal between the tracks didn't appear to be secured. Meanwhile, there is already one lawsuit filed against the MTA. Cuomo has not officially responded to those in the rally outside his office Wednesday.